This study is a cross-cultural, empirical investigation to assess the relationship between organizational climate for corporate entrepreneurship and national culture values. National culture values regarding entrepreneurship indicate the degree to which a society considers entrepreneurial behaviors as desirable (Hayton, George and Zahra, 2002). Thus, it is expected that national culture values will influence the organizational climate for entrepreneurship. However, in the past, very few research studies have empirically examined this important relationship (Hayton et al., 2002). 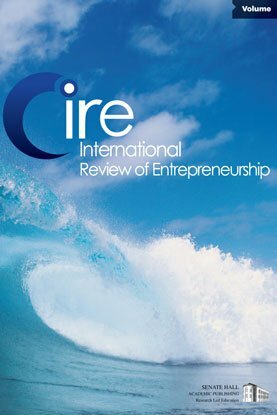 The main purpose of this paper is to explain how culture values of nations, can account for the differences in the organizational climate for corporate entrepreneurship. Understanding national culture values can help managers of multinational businesses to optimize their efforts for promoting a climate for corporate entrepreneurship. By leveraging culture values, managers can design effective nation-specific strategies for business units located in different countries, instead of adopting a 'one size fits all' approach. A 'one size fits all' approach might have undesirable consequences for an organization, especially if the culture values of the nation where the business units are located are contradictory to the organizational values and climate for internal entrepreneurship. This research was conducted in a multinational organization that had plants located in 20 countries. Spearman?s correlation coefficient (Spearman's r) was used to assess the correlations between national culture values and organizational climate elements for corporate entrepreneurship. Results indicated that there are significant correlations between these two variables. These findings have significant implications for organizational managers and researchers in the area of entrepreneurship.